How can we get kids to like fruit and vegetables? The advertising agency AIR Brussels came to DoubleDouble with a challenge: a roomful of picky kids. 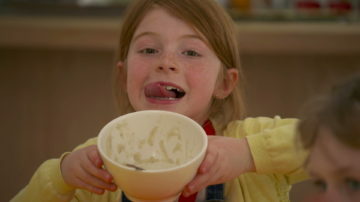 How do you get children into the idea of eating fruit and vegetables? 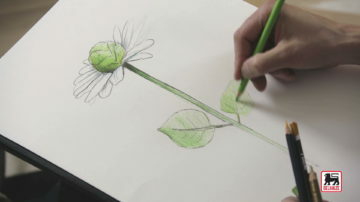 The plan was to produce a series of online, TV and cinema commercials. So we brought them together in workshops during which they discovered the fun behind fruit and vegetables – and how to cook them. Was this kid’s play? Not really! DoubleDouble organised auditions to find children and parents willing to take part. 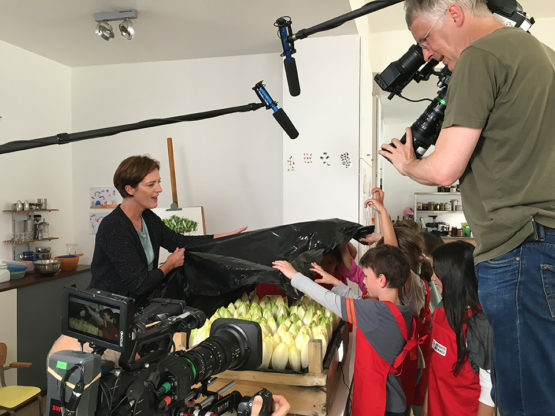 We created a set for the workshops and wrote several scripts in which children learn about, prepare and taste vegetables under adult supervision. 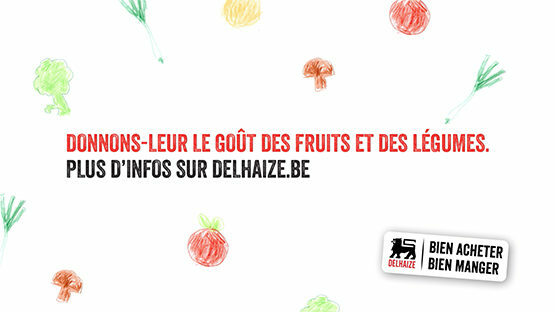 One film, for example, revolves around the misconceptions children have about how vegetables grow. 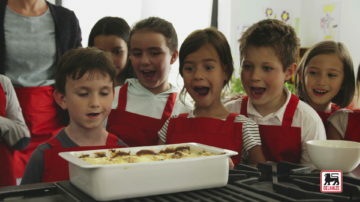 These workshops were filmed in French and Dutch and the children were encouraged to be as spontaneous as possible. For the shoot, we were mindful of the children’s energy and behaviour. It was essential to preserve and capture their spontaneity while keeping to the fairly precise script we were given. We created situations designed to surprise the children and capture their playful moments while we directed them live according to their reactions. The parents were filmed separately in an upper room as they watched how their children behaved in real time. Filming was a race against the clock. We filmed the Dutch version in the morning and the French version in the afternoon using the same set, so everything had to be cleared away and prepared again in a short time-span. 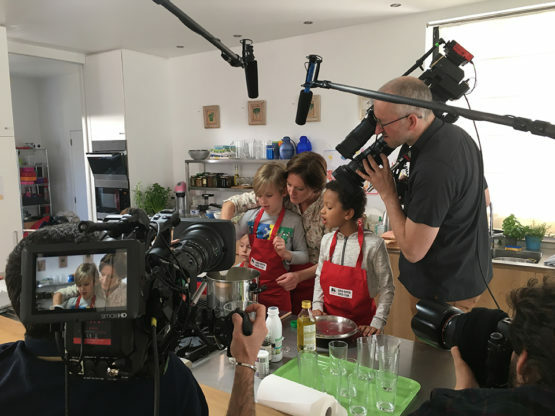 We filmed using three different cameras, so we spent a lot of time looking at the rushes to find the perfect moments: the unexpected reactions and charming comments made by the children and their parents. The films were broadcast in different formats (15, 30 and 60 seconds), on social networks, on television and in cinemas. Want your story to be told? Visit our Facebook page ! Latest news and backstage on Instagram ! Visit our twitter page ! View our last creations on Dribbble ! Check out our latest video on Vimeo ! Connect with us on LinkedIn !